 STARKVILLE, Miss.—Five technology startups are seeking $750,000 in combined seed money being made available through a Mississippi State-sponsored entrepreneurship program. Organized by the College of Business’ Center for Entrepreneurship and Innovation, the recently concluded 10-week MaroonX Accelerator pilot program involved the startup teams—each with at least one Mississippi State student—that had researched and developed product concepts to a point they could be pitched to investors. During the 2015 MaroonXpo held Thursday [Aug. 20] at the Mill at MSU Conference Center, representatives of ArcFolio, CollegeFit, MState Tech, Social Drizzle and Vibe were looking for either an investment or professional feedback to help take their businesses to the next level. The international Blackstone Charitable Foundation awarded a joint $200,000 grant to MSU and Texas A&M University to fund the accelerator. The two universities evenly split the grant funds. Eric Hill said the five teams logged a combined 1,457 work hours and made 166 customer contacts. “We put some really aggressive goals on them all summer long,” the MSU Entrepreneurship Center director added. Hill said the nearly 20 investors took part either in person or by webcast in the Xpo. He described the group as individuals with annual salaries of more than $200,000 or holders of at least $1 million in worth beyond a primary residence. ArcFolio was presented by cofounders Jarred Creel of Starkville and Curtis Reed of St. Charles, Mo., both third-year MSU architecture majors. Their online portal for students and entry-level interns in the design field enables the display and management of vast portfolios. The site went live July 31 and prospective employers now may sign up free. Creel and Reed are seeking a $200,000 investment. CollegeFit was founded by MSU senior computer science major Kelcy Gooch of Ridgeland and Greg Riley of Jackson. They sought feedback for their web-based social platform designed to promote healthy lifestyles, social experiences and academic achievement in one venue. Launched in March, CollegeFit seeks partnerships with student-heavy apartment complexes with fitness facilities. Gooch and Riley will also offer tutoring services on- and off-campus. MState Tech founder Shane Clark, a physics graduate student from Starkville, made a presentation for Dog Sense, which is designed to protect hunting dogs from being hit with the hunter’s gunfire. The product involves a dog-collar mounted RF beacon that can communicate with a sensor on the gun at a range of up to 500 yards. Clark said his team is planning a soft launch in October and seeks $100,000 to have a hard launch early next year. 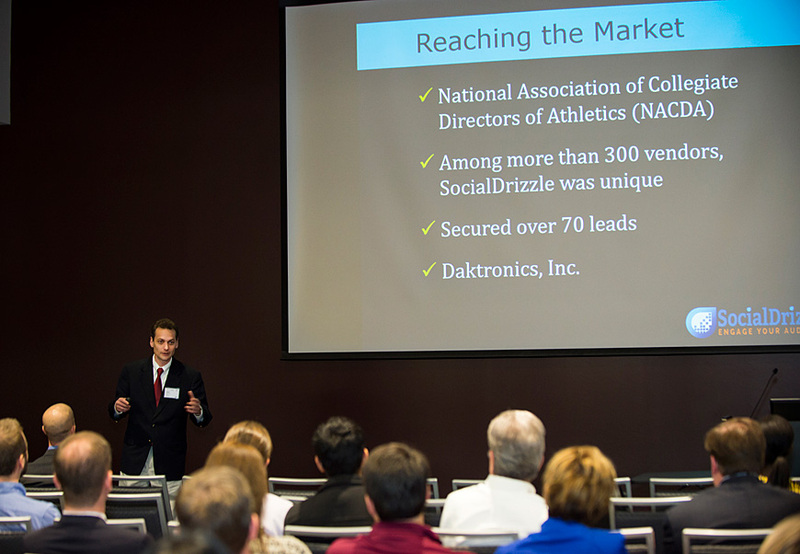 Social Drizzle was cofounded by associate research professor John Edwards with MSU’s nationally recognized Social Science Research Center, who presented a hardware-software product now in use at MSU that flows fan tweets—including visual images—onto stadium video boards during sporting events. Also the company’s CEO, Edwards said his business, already in partnership with Twitter, seeks a $350,000 investment. Vibe was founded by electrical engineering major Hagan Walker of Columbus and art/graphic design major Kaylie Mitchell of Pascagoula, both seniors. Named lumi, their patent-pending product is a water-activated product that adds light and flavor to drinks. Walker and Mitchell are seeking $100,000 to move their product to full-scale manufacturing. Parker Stewart of St. Augustine, Florida, is a 2013 MSU management and entrepreneurship graduate serving as entrepreneurship program coordinator. He owns the Mississippi-based Del Viejo Gourmet Food Co.
For more on the MSU Entrepreneur Center, visit www.ecenter.msstate.edu.